Have you looked into waterproof flooring? Waterproof flooring is definitely worth the time in looking into it. 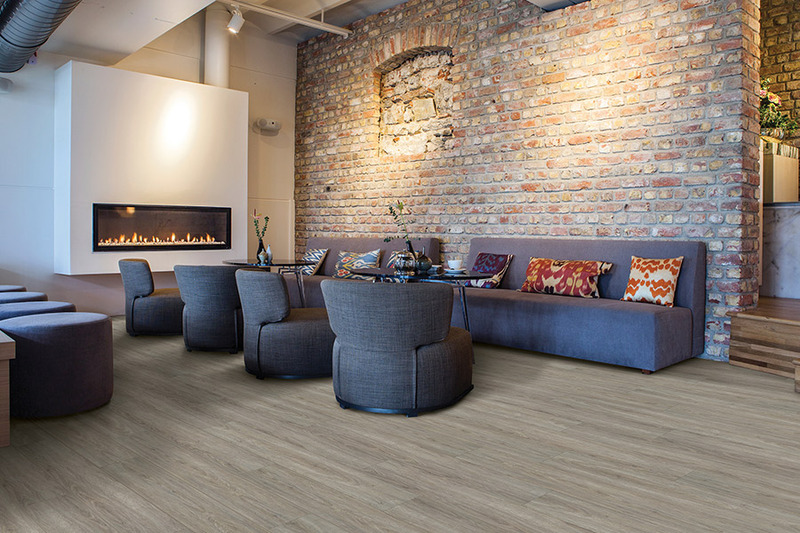 In fact, it’s one of the more popular floor coverings among homeowners today, and that popularity continues to grow. The benefits make it well worth spending a bit more in the budget, and you’ll be happy to find that it will work well in any room in your home. At Carpetland USA Inc., your flooring is just as important to us as it is to you, because if you aren’t satisfied, we’re not satisfied. We will go the extra mile to make sure we get you matched with the best flooring for your specific needs. Serving the areas of Appleton, Menasha, Neenah, Kaukauna, Kimberly, Oshkosh, Omro, Fond Du Lac, Winneconne and Ripon, our showrooms are located in Appleton and Oshkosh, WI. We invite you to stop by at your convenience to give us the opportunity to assist you. 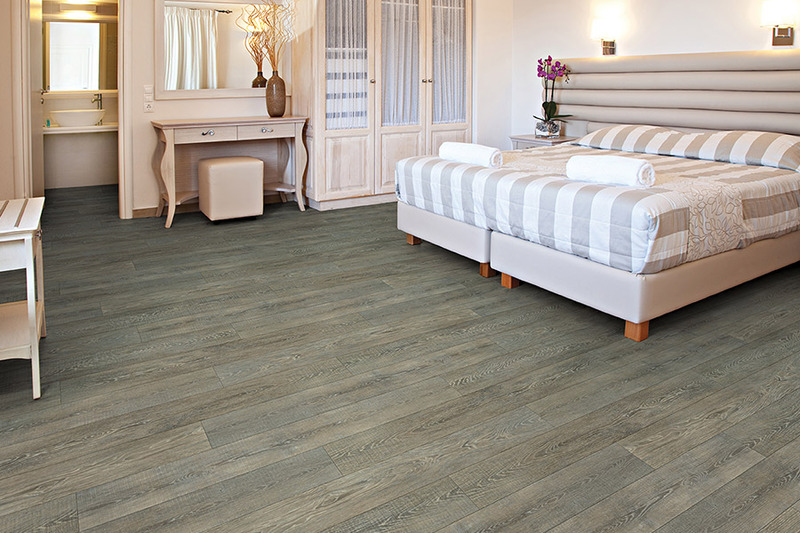 As you begin to look into waterproof flooring, a term you’re sure to hear is WPC, which stands for wood plastic composite. If you have questions concerning that phrase, you’re in good company. What is WPC, exactly? This is a composite material that doesn’t actually contain any wood at all. 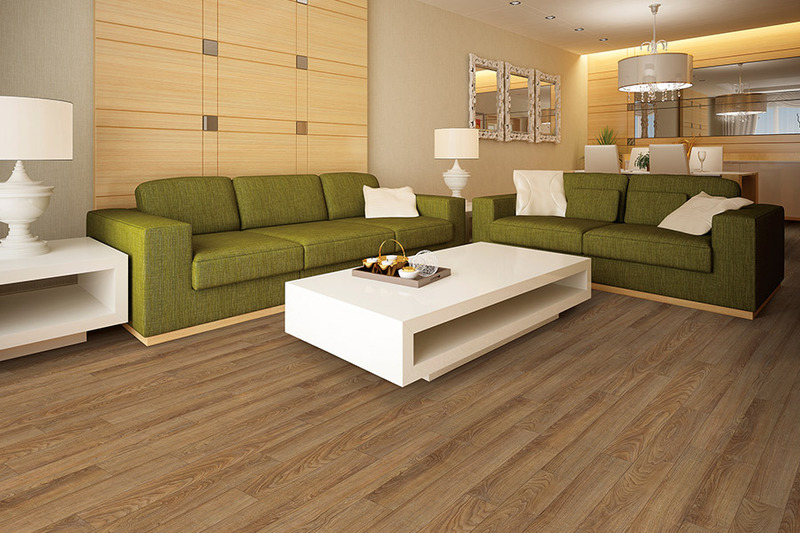 It can sometimes be referred to as waterproof vinyl, or enhanced vinyl plank, and is a composite material. It is stable, rigid and waterproof. Is WPC better than laminate? 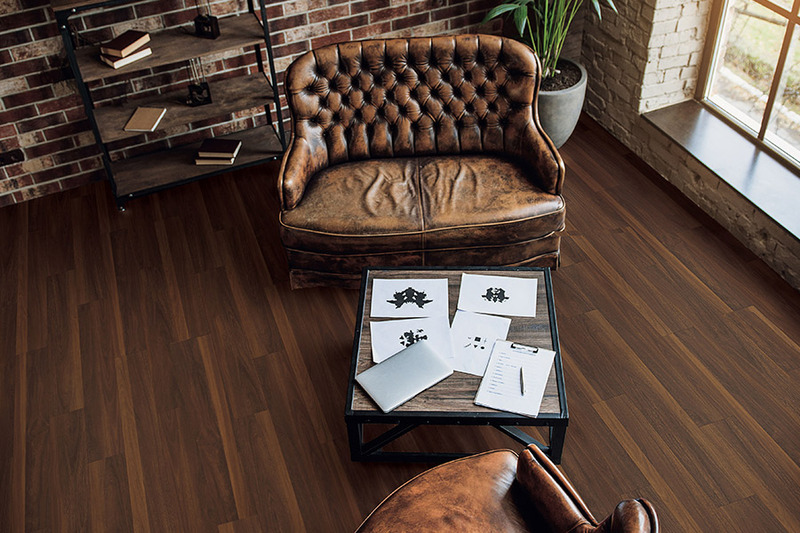 Laminate, unless it is also waterproof, cannot be used in areas where water, moisture and humidity are a factor, but WPC can. In that case, WPC would be more appropriate than laminate would, and it will perform better as well. What about this material and subfloors? 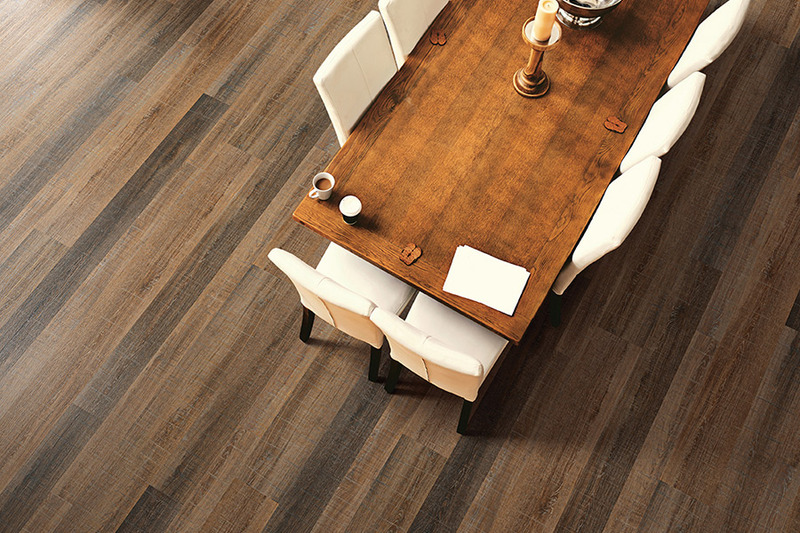 Other floor coverings, such as LVT (luxury vinyl tile), are often thinner and show uneven areas with ease. This floor covering, on the other hand, can often cover those uneven areas, making them appear perfectly even. This is due to the rigid core that exists inside WPC. What does this material look like once it’s installed? 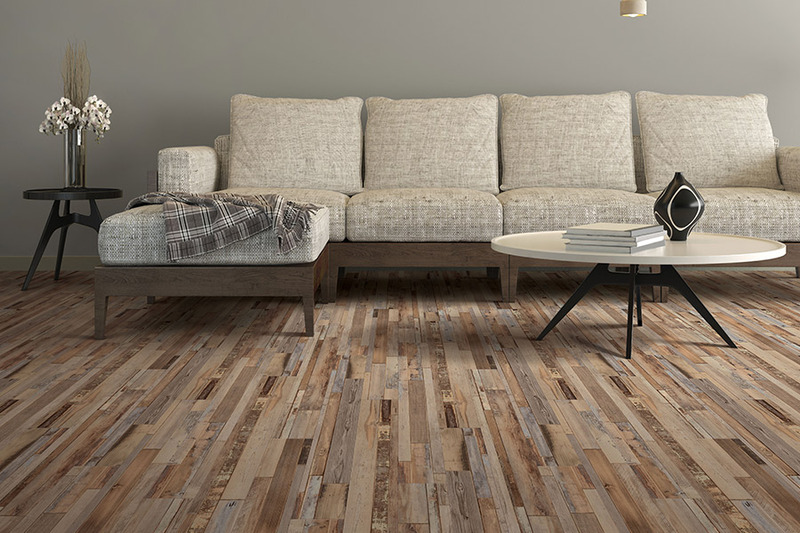 In many cases, you will think you’re looking at laminate flooring. However laminate does have more edge detail in the bevel, and can often feature deeper embossing. However, these floors are beautiful in their own rite. These are just a few of the many questions we’ve answered on this topic. Stop by if you have further questions.